Welcome to The Dunes on the Waterfront! Imagine watching the sun rise over the Atlantic, with only sand and water between you and the horizon: another day begins here in Ogunquit, Maine. Our award-winning Ogunquit hotel is just across the tidal river from Ogunquit Beach on twelve quiet, secluded acres selected by our founders in the 1930s. You’ll notice that most of our land is undeveloped, so our Ogunquit cottages and hotel-style guest rooms can be spaced comfortably apart. Spectacular ocean views can be taken in from practically anywhere. The Maine vacation experience has changed quite a bit over the years, but here at The Dunes, we’re continuing the tradition of a simple, quiet getaway. You can strike up a conversation with any member of our team for just about any reason — we’re here to help you enjoy your visit. Inside our classic whitewashed seaside cottages, you’ll find modern kitchens and bathrooms as well as convenient hotel amenities like free Wifi — you might not guess that they’ve welcomed guests for more than 80 years. Guests return year after year for one simple reason: The Dunes is a tranquil and comfortable place to slow down, relax, and enjoy sand, sun, and sea with family and friends. With lodging options ranging from double-occupancy guest rooms to waterfront cottages that can sleep six, our Ogunquit hotel is suited to romantic weekend getaways and family vacations alike. 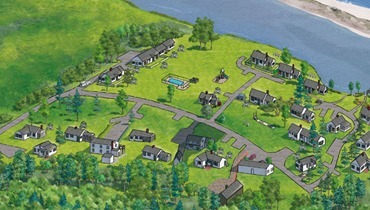 We can accommodate larger groups too — contact us to plan a family reunion in Maine or an Ogunquit corporate retreat. If there’s any way we can help you plan your trip to Maine — from recommending things to do in Ogunquit or Ogunquit activities and attractions, or even making a last-minute getaway — just give us a call or send an email. We hope you get the chance to come enjoy the view from our Ogunquit hotel in person!